I've been away for a while. Not that I wanted to, life has just been getting in the way. This past month has been a lot. We have done a lot, worked on final projects for school, people have moved out and in and out again of our extra bedroom and we have made some pretty big decisions for our near future. We are moving to Copenhagen! It was a rather spontaneous decision and we are not yet fully aware of what we are diving into. But I am extremely positive about the change and I think it will be a big adventure. For me this is a little bit like going home, since I lived there for two years growing up. 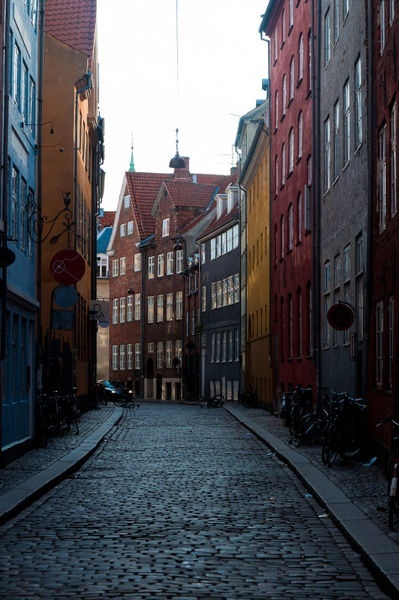 I have so many fond memories about Copenhagen and I can't wait to go back and make a lot of new ones. The main reason for the move is because Marinó recently had a change of heart about what he wanted to do in life. He took a sculpture class this semester, where he worked a lot with building furnitures and fell in love with it. So we started to look for a furniture design program and stumbled upon a good one in Denmark. There are also so many other things that will improve by moving there. I will not even begin talking about the healthcare system here in America! We will be much closer to family, in a beautiful city and we will actually have seasons (hooray for a cold, hopefully snowy christmas).. just to name a few good things. Even though we are so happy to make the move, we are still a little down over the whole thing. We will miss this city so so much. San Francisco has been a wonderful place to call home for the past two and a half years and we have made so many good friends during this period in our lives. It will always be the place we lived just the two of us for the first time.. It will also be the city we lived in when we added another person to our family. Even though Ylfa was not born here in the states, this is where she grew in my belly and she has lived here for the majority of her live. We will without a doubt come back one day, at least for a visit. But for now we will enjoy the last three weeks before we leave for an Icelandic summer. On the to do list we have a Golden Gate walk with Ylfa, a trip to the ZOO and a cable car ride.. plus finishing finals. We're going to miss you!! When is the official move date? And we will miss you! We're leaving for Iceland on the 26th. I don't think me and Ylfa will come back, but Marinó will be back to SF in August to pack things up.